1. Place pork chops on plate and season with desired amount of salt, pepper, rosemary and garlic on one side. 2. Let sit 15-20 minutes to bring to room temperature. This will help with even cooking. 3. 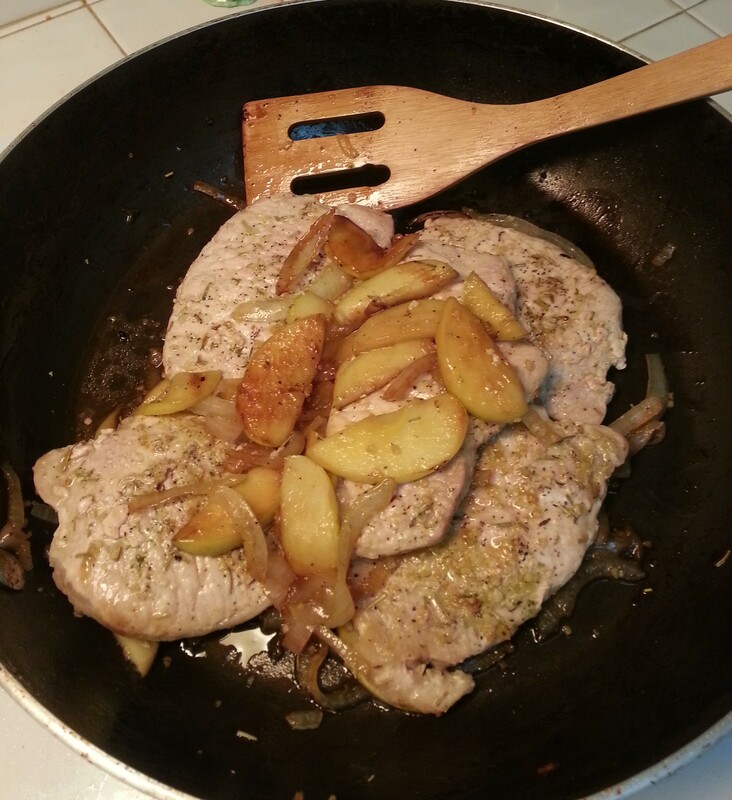 Oil the bottom of a frying pan and cook the pork chops on medium for 4-5 minutes each side. When you flip to cook the second side of the chop season again and allow the seasoning to sit on top of the meat. 4. After meat is cooked remove from pan and cover. 5. 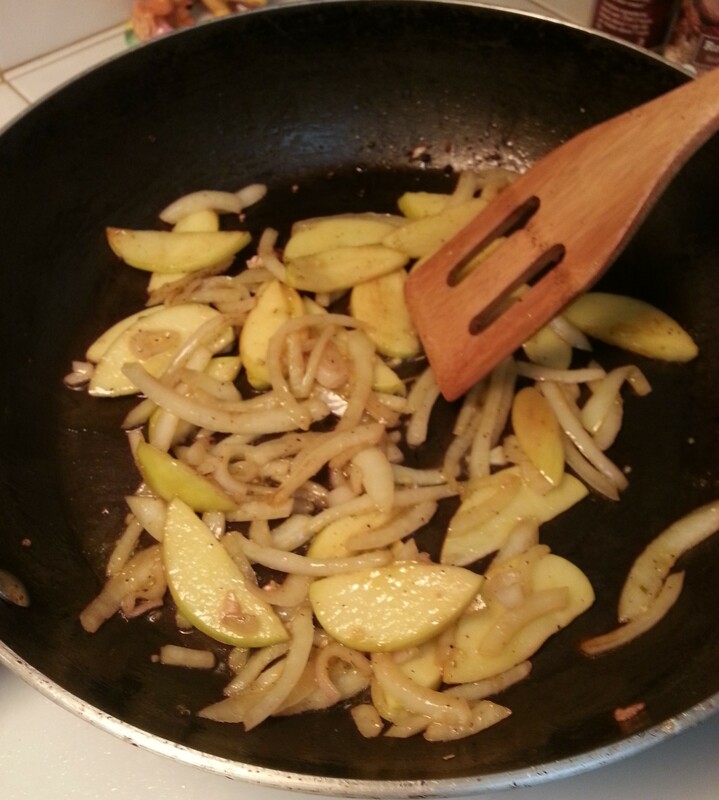 Add another 2 Tbsp of olive oil to the pan and add sugar, apples, shallots and onions. Sautee on medium while constantly stirring to ensure nothing burns. 6. When finished onions will be translucent and the apples will be golden. 7. Turn heat off and place chops back into the pan. Cover and let sit a few minutes to get the temperature of the pork back up. 8. 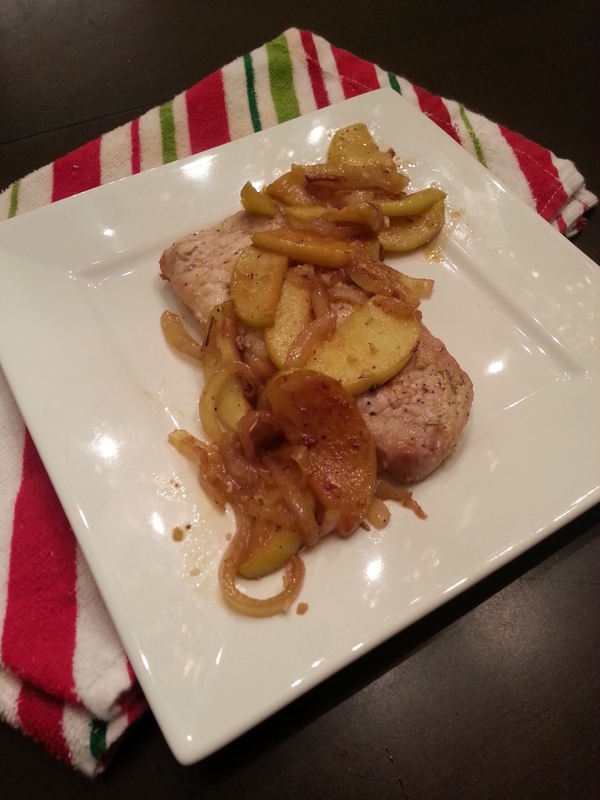 Serve with apples and onions over the pork. No apple sauce needed.